At one point, my hubby looked at me and asked, “why are you so calm???? ?” 🙂 lol I guess he anticipated that I should be freaking out way more than I was! But, honestly, I have learned over the past few years to simply do my best and leave the rest to whatever was going to happen. I am not (and even though I don’t like to admit it…NEVER WAS) able to control everything. Yes, I am a bit “OCD” personality but that means nothing when life happens. We were set to begin – with the countdown on for the guests and events fast approaching…when a ginormous speed bump came into view and shifted every well intentioned plan we had set up. I was devastated…not going to lie. I felt like I was hit by a truck at some points and it’s kind of stupid because I was really only dealing with worrying about other’s in my family…and the change of plans in my home. Nothing bad had happened to me aside from this adjustment period… and yet, I was kind of making a big ordeal about the stress. I know that I’m not the only person who does this, right? And imagine had it been directly concerning ME…that would have thrown me even more off balance. So what happens now? Like, after I had eaten the garlic bread I wasn’t supposed to eat, and the huge sandwich I inhaled at lunch with my sister and niece…and maybe even some “bites, licks and tastes” of cookies and brownies. I felt bloated, heavy and lethargic and I now know better than to think I had “undone” all the good things from the past few months. It made me reflect back to when I first began this fitness/health journey; before I learned what eating the right foods means and what type of serious focus to place on my success along the journey. 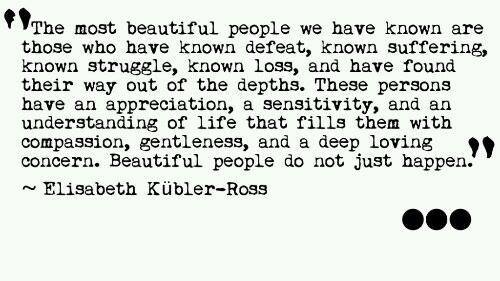 I resonated with those who are suffering the unknowns…thinking that days, weeks, weekends, or months can be the end of our good intentions. Believing the nasty “diet world” hype that surrounds us at every corner, magazine, commercial, etc. can make anyone crazy if we don’t educate ourselves on what is true and what is going to help us continue. The one thing I know that is helping me is my online support group and the complete understanding that I have control and power to focus on my day to day plans. Nothing ever goes perfectly. We can plan all we want and it still can become skewed or completely off kilter but I can always reset and refocus, right? Waking up at 5am all week to start my day with my workout, breakfast and personal development reading. I will share my plans for Tuesday through Sunday to stay on track. Being accountable to what I say I’m doing versus just pretending that I’m on track when I slip up (cuz life happens, right??) is the secret to my success in staying on track the past few years!! I’m so excited to kick off our new support group as we prepare to get fit and healthy for summer this Spring! There’s still time to jump in if you are 100% serious, just message me today or fill out this form to get your goals lined up and I’ll contact you right away. How to Succeed Through Halloween Candy Rush!! Does Halloween candy call your name everywhere that you go this time of year? Seriously, it takes up a WHOLE aisle and MORE in the grocery stores and is passed out freely a whole month before the actual day. When does it end? Then there’s the office candy, the candy handed out to our kids everywhere throughout the month and then a plethora of candy that fills their Halloween bags on October 31st. So, back to the candy filled bags from your kids trick-or-treating. You can give yourself the permission to enjoy a few of your favorite (and worthwhile) pieces of candy. Allow your child to keep some of their favorites and get rid of the rest. I don’t really care what you do with it; whether you throw it away or give it away is up to you. As for me; I really don’t see the point in “giving” it to someone else so they can get the unhealthy sugar load that you chose to avoid. How many of you are like me in having ridiculous cravings for sugar that only seem to grow out of proportions when you eat sugar? 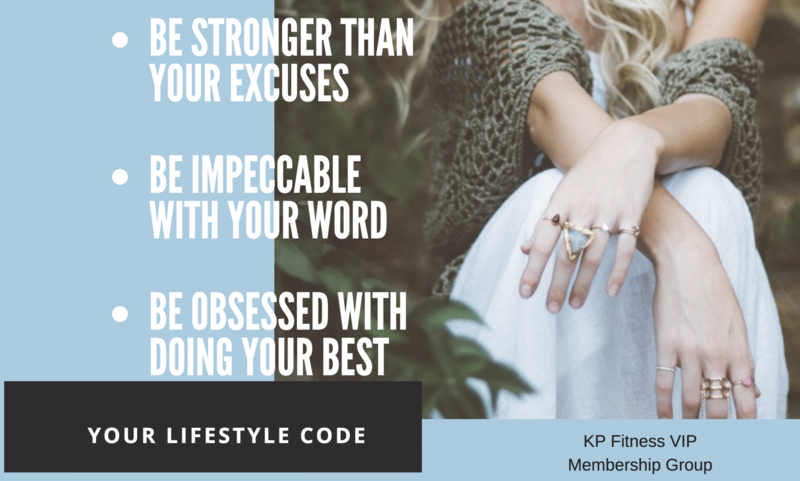 It’s like a crazy pattern that can be stopped…but you have to be committed for the first 30 days and then I promise you, it will be worth the efforts! I have to say that I no longer suffer from overly hyped up sugar binges any longer. (and if you knew me years ago, this was a ridiculous pattern that I fell into time and time again and only made me feel guilty and awful after the fact). I love anything with Coconut and this recipe sounds amazing! If this is the first time you are reading this and wondering what the hype is about Shakeology Check this out! 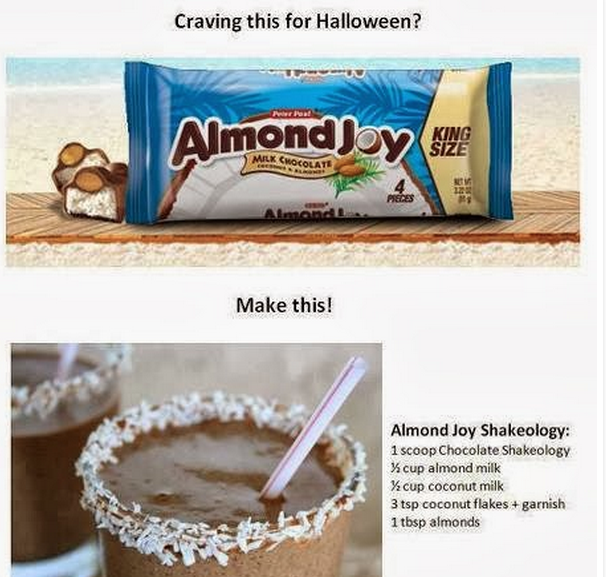 Shakeology was something that I used think was to0 expensive. I USED to think that I didn’t need a Shake to lose weight. I used to think that I could do it all on my own. I CAN do it all on my own but Shakeology makes it CHEAPER (YES TRUST ME) and easier. I am a busy mom, we are busy with activities, school and work. I always have really good intentions of packing every bag and snack but lets face it. Life gets in the way. We are running late, we over sleep and our kids don’t cooperate. You have no idea how many times I am running out the door thinking, Oh I’ll just grab something along the way. Then inevitably there are NO healthy choices and I’m stuck with crap! 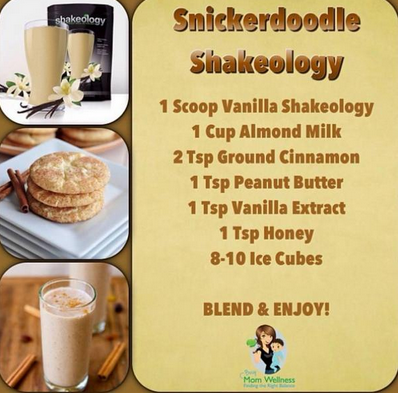 Now my Shakeology is that quick easy MEAL (not a protein shake) that I can grab and go. It tastes really really good and it is easy to make. You can fancy it up by blending with fruit and nuts or you can go plain jane and mix with water. You can shake or blend and you can make it a dessert or a meal! The sky is the limit. I also love that it is perfectly portion controlled. We eat healthy foods but a lot of times we eat to much! With Shakeology you get your serving size and you don’t have to even think about it! CONVENIENCE right there!!!! Also, Shakeology has helped me to curb my sweet cravings and has given me natural energy. Not the kind of energy you get from a red bull but the kind of energy that just keeps you on a steady state of awareness all day long. It’s just down right good stuff! 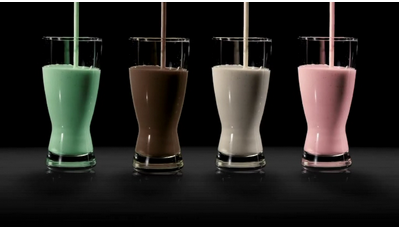 It’s $4.30 a day for Shakeology and it’s worth every penny. If you compare Shakeology to any other healthy meal out there you can’t find anything that even comes close to the nutritional value. In my opinion it’s worth every single penny invested. I am investing in my health which will effect my family, my health and our future!!! Think long term, always invest in your health!! Want more information on how you too can score Shakeology. Contact me today for options!! !